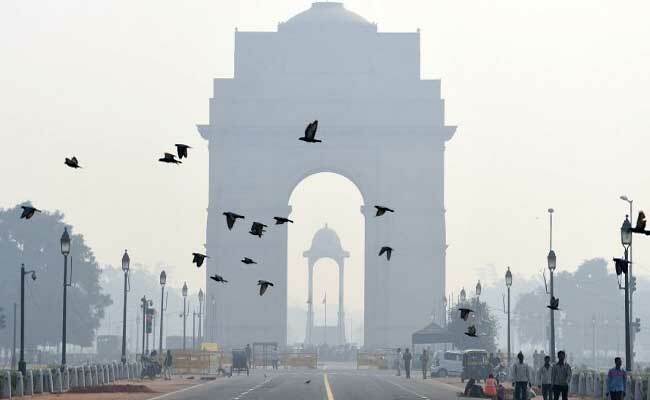 New Delhi: Days after Delhi suffered the consequences of runaway air pollution, organisers of a half-marathon in the city have said they will go ahead with the event, despite warnings from a top medical association that the event might harm the health of runners. The Delhi High Court has also given permission to the organisers to hold the marathon as pollution levels showed a slight drop. The Airtel Delhi Half Marathon, to be held on November 19, was asked to be postponed by the Indian Medical Association (IMA) earlier this month over rising level of toxic smog in Delhi. The deadly haze, which formed as a result of automobile emissions, construction and road dust, and crop-residue burning in Punjab and Haryana, had engulfed the capital entirely, prompting the authorities to declare a public health emergency. Health experts in Delhi have said air quality has become so bad that it could worsen existing lung diseases and asthma. Some 35,000 people are participating in the half-marathon on Sunday. Indian Medical Associaltion president KK Aggarwal had told BloombergQuint that "absolutely no marathon should be held when the air quality index (AQI) is above 150." On November 16, the AQI level in Delhi reached 367, a level considered hazardous, according to a US embassy monitor. The race organisers, Procam International, has said they were "conscious of the air quality." Keeping in mind the air quality situation, the event organisers said they would deploy nebulisers (a device that helps change liquid medicine into a fine mist so that the patient can breathe in the mist easily) along the route where the marathon will take place so that it can help runners with any breathing discomfort. They said they will also have ambulances at several points on the route equipped with oxygen tanks. IMA had asked the Delhi government and other pollution control authorities to postpone the half-marathon. However, the organisers of the Airtel Delhi Half Marathon said the suggestions from IMA to cancel the marathon were "short-sighted". The organisers had also claimed that they had the support of international athletes despite the alarming levels of pollution in Delhi.